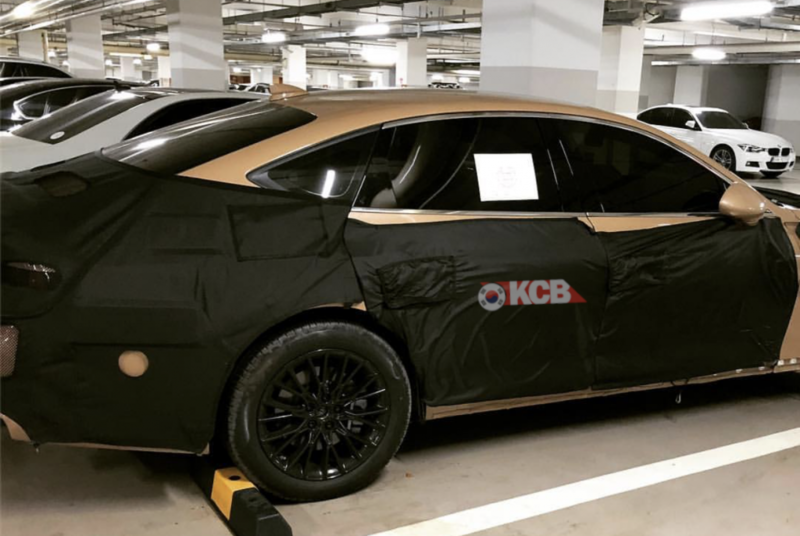 We have got a new set of spy pictures of the next-gen Genesis G80, which will be the 3rd gen. Codenamed as RG3, now were spied on a South Korean parking lot wearing a lot of camouflage but showing the new “gold” colour. According to reports from South Korea, the major changes will come in terms of design as well as on the powertrain, and looking at the pictures we already saw this changes, with a more sporty and bold design. A new advanced convenience and latest safety items will be added. 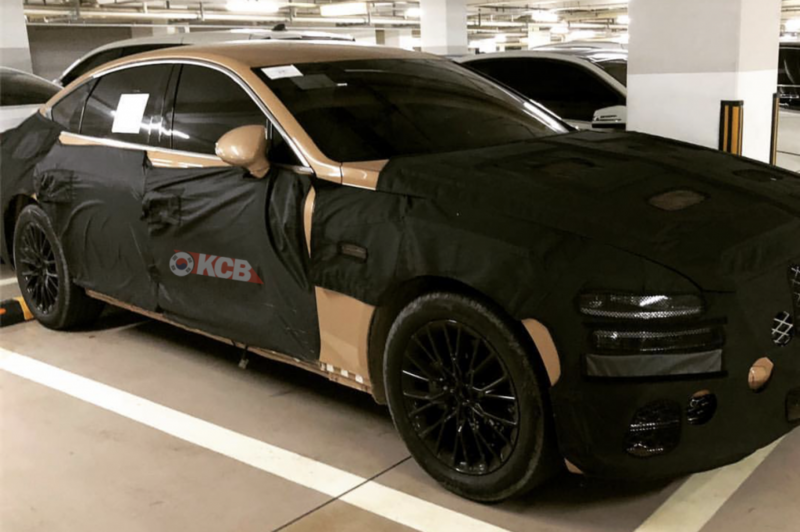 The Genesis G80 will drink from the design we have seen on the GV80 SUV Concept for some elements and is slated to debut in the third quarter of 2019. The new G80 will be a complete new model. Now we can confirm that the design will use elements of the GV80 concept like the headlights and taillights or the front grille. 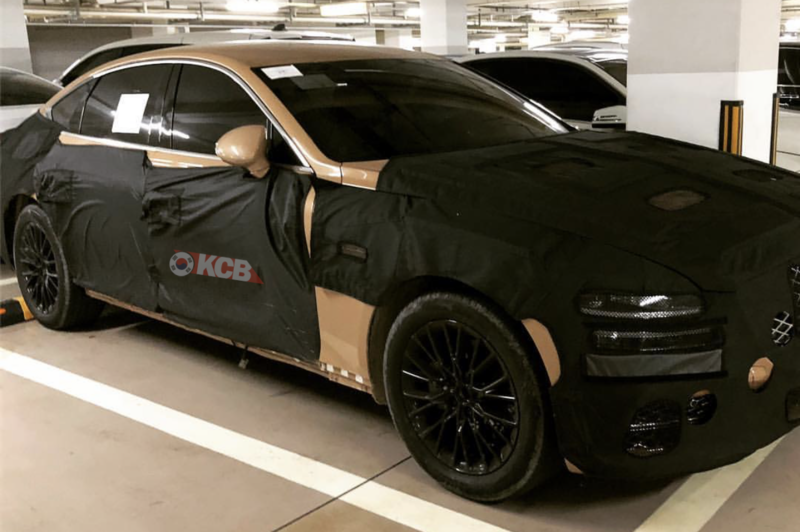 Like their future products, it will focused on proportions and will feature a pentagonal crest grille and a quad head tail lamp. The company explained that ergonomics is the core design of the interior according to the concept of Human Centered Luxury. The powertrain will be updated as we have anticipated, with the new Theta-3 engine and updated Lambda-3 engine. With a 2.5-liter Turbo from the Theta-3 family, will reach 300hp, while the Lambda-3 will use a new 3.5-liter Twin Turbo that will reach 400hp. This new engines will replace the N/A 3.8 liter and 3.3 Twin Turn. In addition, a 48V mild hybrid variant is being considered to reduce emissions. 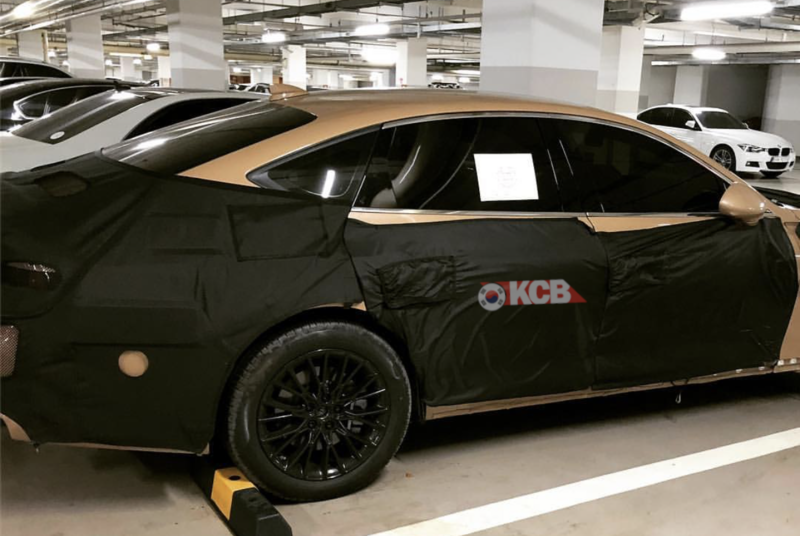 The Genesis G80 will be available with Rear Wheel Drive and All Wheel Drive Htrac system, as well that will be lightweighted, which improves acceleration performance and fuel efficiency while securing rigidity. Expansion of convenience and safety items is also remarkable. The driver’s seat is filled with a new digital 3D instrument panel and a large monitor based on a new infotainment system with enhanced connectivity. The indirect air blowing principle is applied to the air-conditioned air conditioner that lowers the room temperature and the independent sound field control system (Separated Sound Zone Technology) that allows you to listen to the desired music for each seat. A new autonomous navigation system is known to improve the highway driving assistance system (HDA).